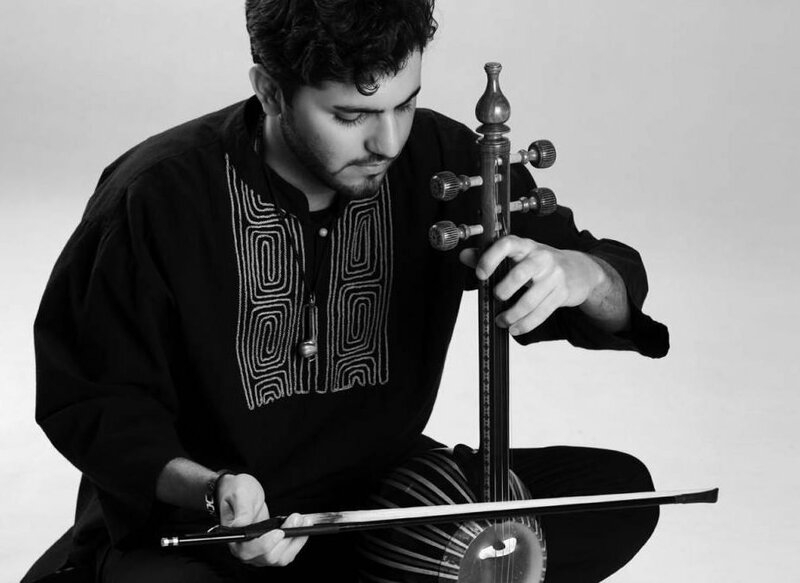 As a student of both the violin and its Persian cousin, the kamancheh, Sina Ettehad is in a better position than most to bridge the cultural divide between Canada, where he now lives, and Iran, where he was born. That’s something he’s been pursuing since at least 2010, when his four-piece Kereshmeh Ensemble teamed up with the Vancouver Symphony Orchestra for a groundbreaking evening of cross-cultural exploration. The kamancheh virtuoso’s next project illustrates his commitment to this ideal: not only is he joining local tabla master Amarjeet Singh to explore the links between Persian and North Indian styles, he’s also reaching out to Hildegard’s Ghost, a female-fronted quartet whose music occupies the intersection between contemporary composition, avant pop, and jazz improvisation. And with the UBC Persian Club presenting their Fusik: Worldly Approaches to Improvisation show at West Vancouver’s Kay Meek Centre, a culturally diverse audience is guaranteed. As Ettehad explains, Hildegard’s Ghost—with Roisin Adams on piano, Elisa Thorn on harp and electronics, Jeff Gammon on upright bass, and Justin Devries on drums—will open, he and Singh will appear as a duo, and then all six musicians will improvise on one of Adams’s tunes and one of his own. Further expanding their shared vocabulary is that the Hildegard’s Ghost tune they’ll use as an improvisatory launch pad is called “Untango”, in itself a jazz-flavoured exploration of the late Astor Piazzolla’s nuevo tango style. Cross-cultural music is an idea with legs—and it’ll be interesting to see where those limbs will take these happy collaborators once their journey is properly launched. Fusik: Worldly Approaches to Improvisation takes place at West Vancouver’s Kay Meek Centre on Thursday (December 17). Hildegard’s Ghost exists in the realm of the unusual, collecting and disseminating curious sounds at a moment's notice. Each tune a story, they implore you to look into their created ethereal worlds, a marriage of electro-acoustic jazz tinged compositions and improvisations.